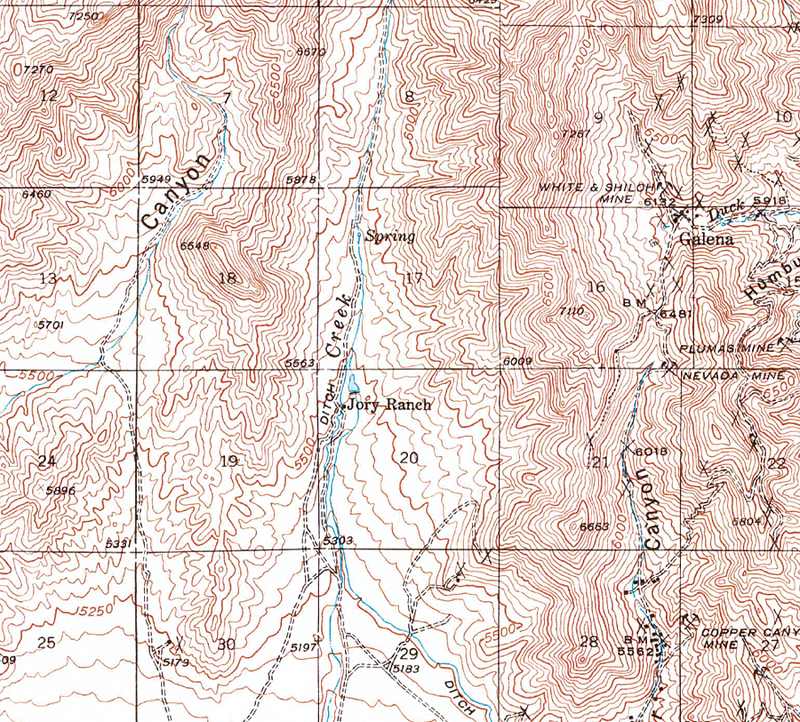 This USGS quad map from 1940 shows the area covered by this tutorial. This and other historical maps can be downloaded from the USGS Historical Toopographic Map Explorer at historicalmaps.arcgis.com/usgs. In the middle Paleozoic, over 300 million years ago, a large mountain-building event occurred in the present-day Great Basin, a large geologic and physiographic area centered in Nevada. Although the exact mechanism is controversial, geologists generally believe that material from the western edge of the Paleozoic continent was pushed eastward by massive compressive forces, thrusting over eastern, often younger, rocks. Continued faulting and igneous intrusions, coupled with extensive erosion, modified the region's geology and geomorphology until the present time. Mineralizing events emplaced a wealth of mineral occurrences. High angle normal faults and thrust or reverse faults controlled placement of mineral deposits. Over the last two centuries, gold, silver, copper, lead, tungsten, and many other metals, as well as minerals that are important industrial commodities, have been mined in this area. For current information on the geology of north central Nevada, read Keith B. Ketner's 2012 paper, "An Alternative Hypothesis for the Mid-Paleozoic Antler Orogeny in Nevada, US Geological Survey Professional Paper 1790." To review concepts and background information on this topic, see Ralph J. Roberts' 1964 paper, "Stratigraphy and Structure of the Antler Peak Quadrangle, Humboldt and Lander Counties, Nevada, USGS Professional Paper 459-A." 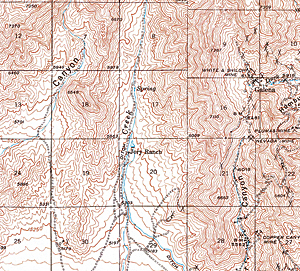 Work by Roberts is credited with opening modern mineral exploration in the Battle Mountain, Carlin, and Eureka areas. Both papers are available from the USGS website.